The past few months, I’ve been living in Melbourne, working like mad on various freelance projects and of course all my latest YouTube and travel blog posts. It’s an endless and tiring process, but I literally live for it. Every now and then, I take some time off from freelance projects to focus on developing my own personal projects. Some of these end up generating an income for myself in the long run, which is all part of my professional quest to becoming self-sufficient in my work/life balance, so it’s usually a win/win situation. 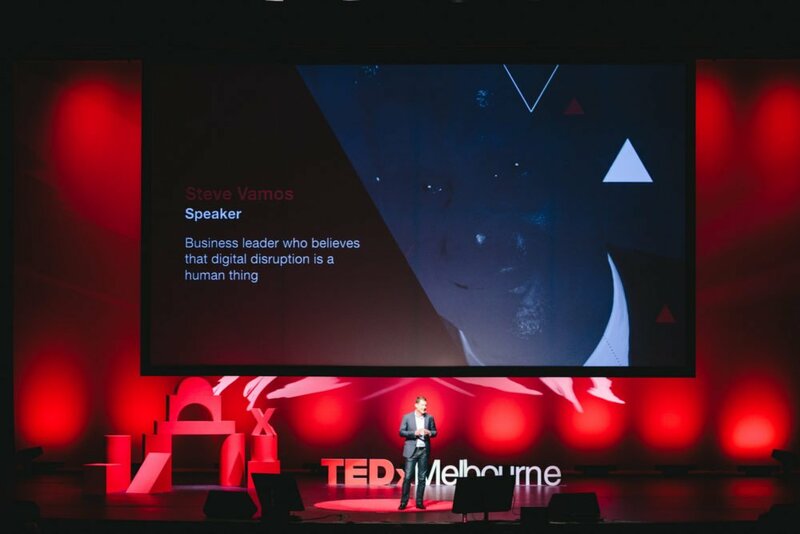 Quite conveniently (or maybe it was a sign), this whole ethos of personal development and thinking, seemed to be the whole theme for the 2016 TEDxMelbourne conference. Even more conveniently, this happened to be taking place just two days into my latest dedicated self-development time. Perfect. 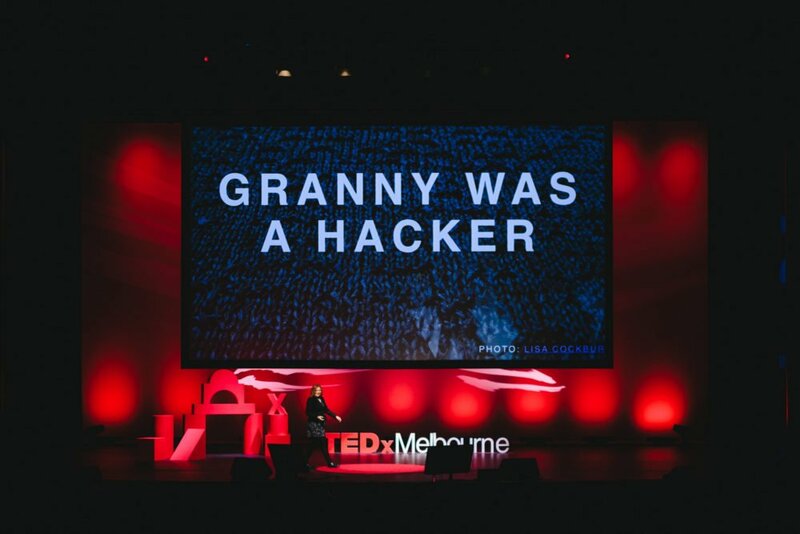 TEDxMelbourne is an annual—independently organised—conference of creative speakers based upon the TED platform of “ideas worth spreading”. 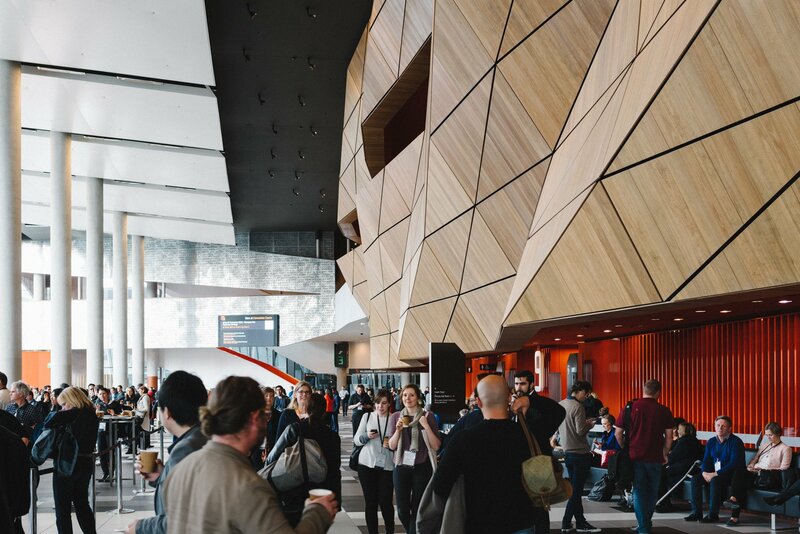 Hosted at the Melbourne Convention & Exhibition Centre, it’s an event that has grown from humble beginnings to something truly remarkable, every single year since 2009. 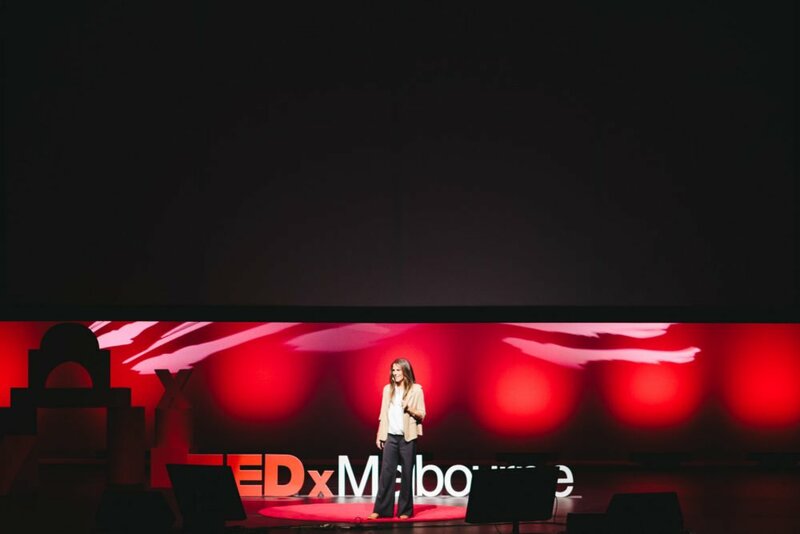 This year, I attended the conference and wanted to share my personal reflection on TEDxMelbourne and my passion for conferences. I believe they are truly one of the best ways for getting inspired and motivated. Both in work and in life. I’m also personally pursuing my own path towards public speaking and sharing my own creativity, so the conference had added bits of inspiration to offer. As a side note, if you’re interested in supporting my career in public speaking or would like to include me in your own event, then let’s talk and see how we can make the world more creative! 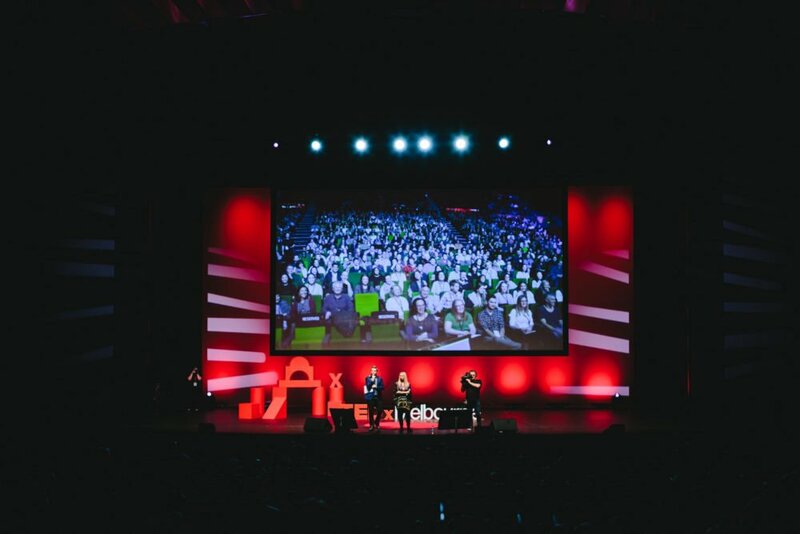 TED talks are limited by the ideology of being kept short in length, to maintain the average attention span of the audience. This means that throughout the day, there will be multiple nuggets of amazing talks keeping your brain at optimum functionality. With that in mind, I have decided to only share my thoughts on just the speakers that truly aligned with me and my thought process. All of the talks were exceptionally great, but it would simply be unfeasible to share them all entirely on this blog. Without further ado, here are the few that really made an impression on me. I’ve honestly never heard anyone talk so clearly and so driven about following a passion. Backed up moreover with achievements and dedication to continue even further. She spoke passionately about how schoolgirls should be treated equally among the boys and not “protected” and how adventurous dreams should always be pursued. It was utterly motivation and she literally set the tone for #AdventurousMinds and got an instant standing ovation at the end. Oh yeah, did I mention she’s only 14 years old?! Keep an eye on Jade, she’s an inspiration to look out for! 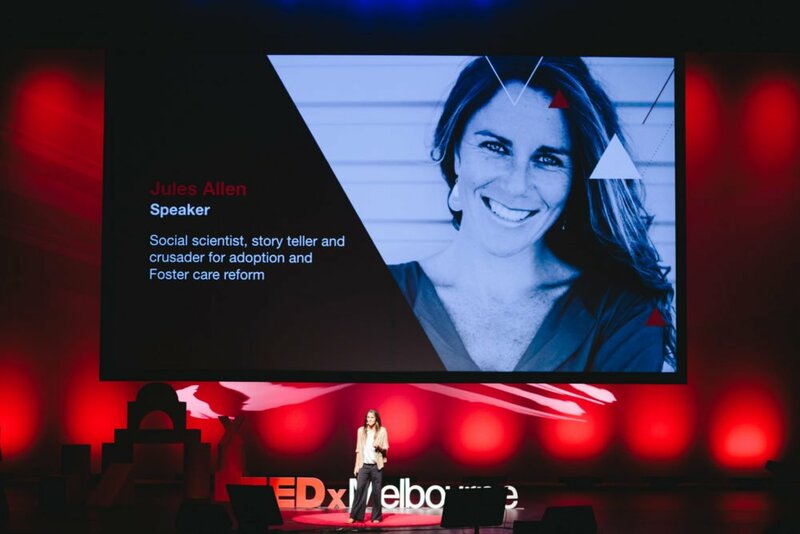 The next talk to really catch my attention was from Jules Allen; a social scientist, storyteller and crusader for adoption and foster care reform. She has remarkably fostered 31 children in her life so far, as well as raised one of her own, which is absolutely incredible! She told very personal accounts of her youthful years with academic and sporting successes during the week, followed by drug addiction at the weekends following sexual harassment and abuse. Her mantra for overcoming her misfortunes was all about acceptance over resilience. Everyone has had experiences of shock, stun and bewilderment. But it is the power in acceptance that allows us to overcome life’s greatest pains and misfortune. 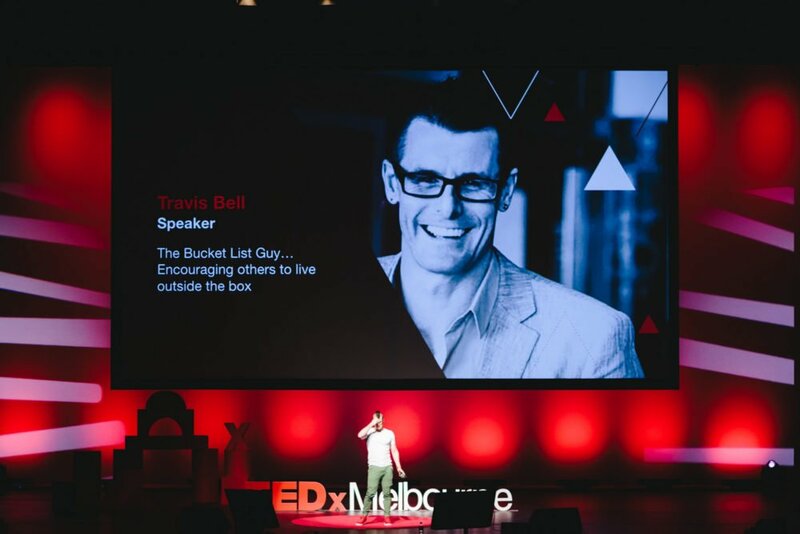 Travis Bell really stood out for me from the whole day, as a speaker who aligned almost perfectly with my current life goals of travelling the world and making the most of life. 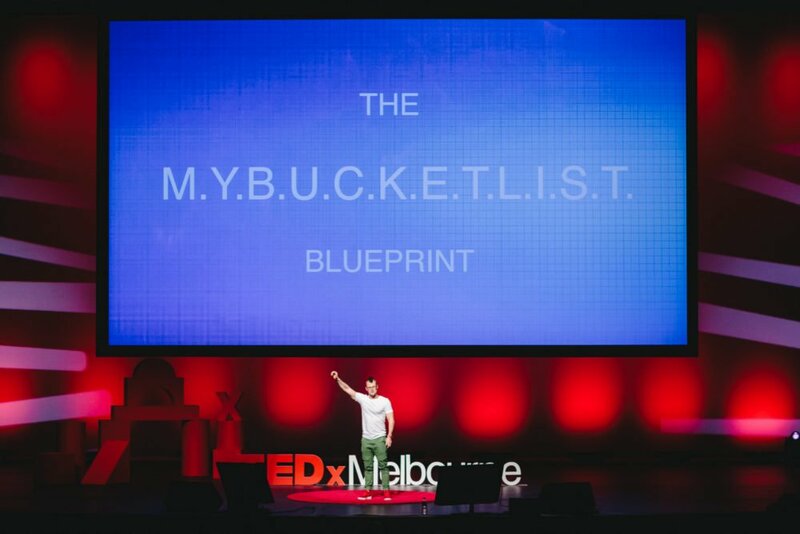 Travis is known globally as “The Bucket List Guy” aiming to help people recognise their todo list from their bucket list. He first asked the audience “how many people have a bucket list?” Multiple people raised their hands—myself included. He then asked “how many people have written it down? On actual paper.” Most people lowered their hands—myself included. This immediately set the tone for waking people up to the fact that life’s way too short not to live your bucket list. 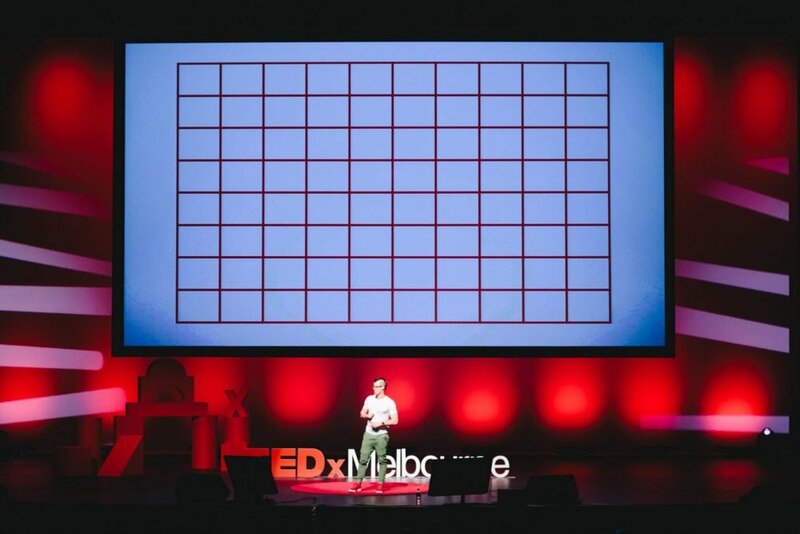 Travis then drastically lowered the mood with anecdotes of people who’ve had to deal with suicide in their family, followed by the 80 squares metaphor. A visual representation of each of the years in an average life. This was an incredibly simple and ultimately powerful tool of realisation. It made me feel lucky to still be in my mid-twenties, yet choked that I haven’t done more; given that I’m over a quarter of the way through my squares. The talk ended on an uplifting note that surely had everyone reaching for their pens and pads to jot down their own bucket lists. This was by far the most motivational talk of the day and I thoroughly enjoyed it! 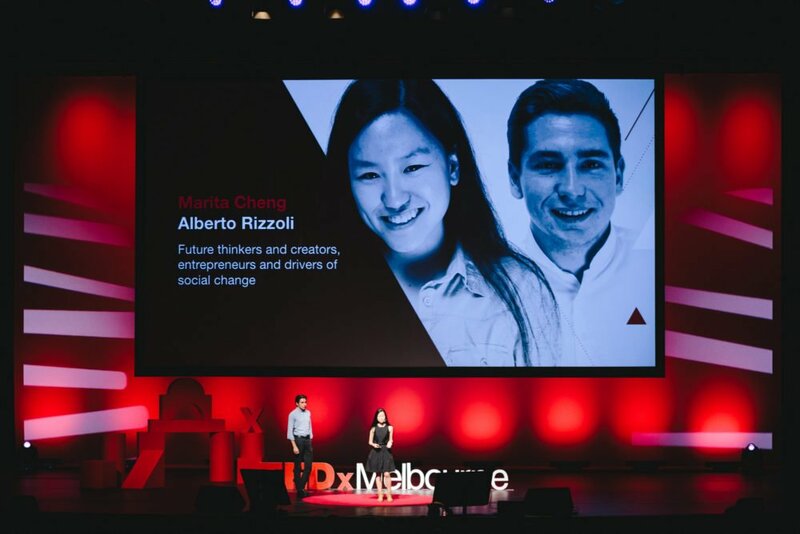 With a prelude talk from Jan Owen just before, Marita and Alberto came out on stage to discuss their incredible project; an app to assist blind people with sight, using intelligent image recognition via a smartphone camera. Showing a video demo of the app in use, they described how they wanted to build “superpowers for humans”. It was truly remarkable to see blind users’ lives instantly reinvigorated on first use of the app. Quite rightly so, they received a standing ovation and an immediate enlightenment of awe at what smart devices are capable of. YES—Power to the technology of tomorrow! The end of the talk sparked an idea I had for a follow-up to their blind assistance. What if they could build an app that would process people’s speech into subtitles for the deaf? What if that app could then be implemented with translation tools for travellers? Steve gave a unique talk using no imagery or slides at all. Engaging the audience with the simple spoken delivery of his thoughts. Talking about the much spoken topic of welcoming failure as an attribute to success, a few quotes really stood out for me. Kris gave possibly the shortest talk of the day, with an energetic and entertaining recount of her involvement of knitting with code. Using binary and ASCII characters in morse code and braille, she’s been able to hide messages in clothing through knitting! She’s not the only one involved with this either! There’s a whole global community with events and hackathons to boot! As an additional surprise to the audience, it was also revealed that during WWII, women were hired for their knitting ability to hide secret messages for espionage. Who’da thunk it? Although I’ve only featured a few of the people who really stood out for me from the day, there was an overall great selection of speakers; including Sam Doust, Dr. Agustin Chevez, Jan Owen, Professor Michael Smart, Dr. Lesley Cheng, Dr. Sarah Jane Pell and JoAnna Ferrari. 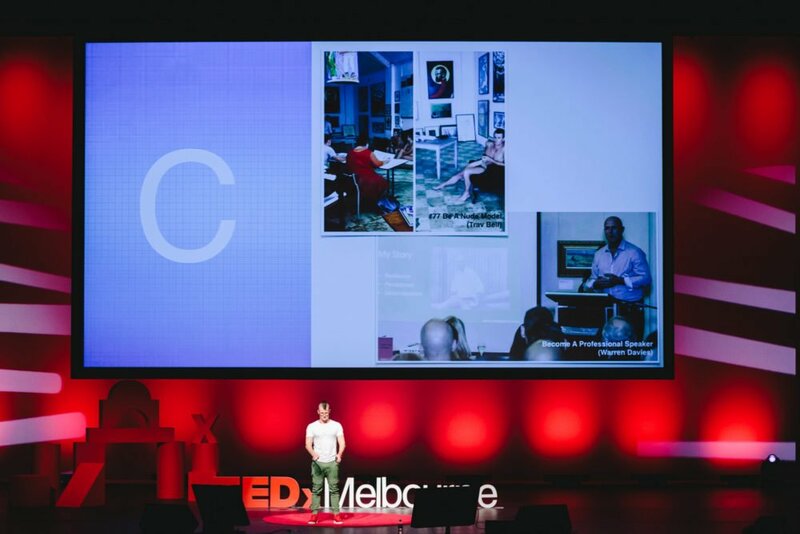 I thoroughly enjoyed my day at TEDxMelbourne and would absolutely encourage anyone to go to a TED(x) event near them if they get the chance. It’s a fantastic opportunity to get raw inspiration and a feel-good factor about life, whether you know what the topics are, or not! 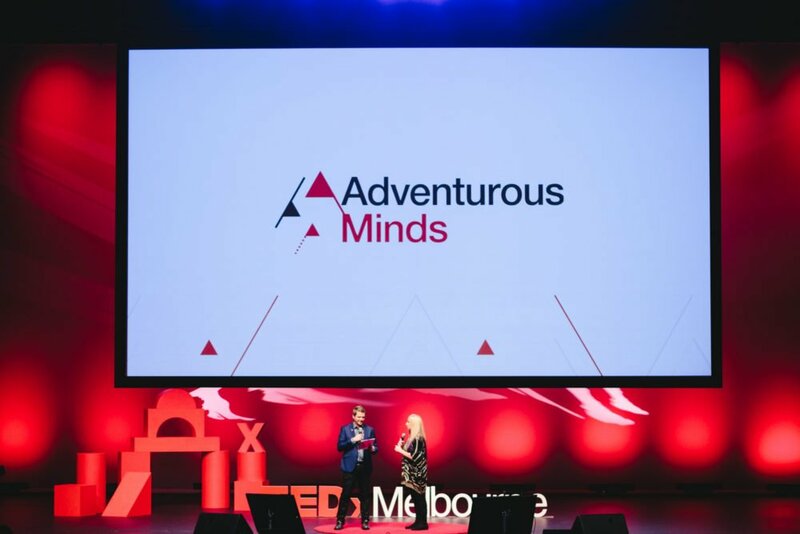 There’s even an afterparty dedicated to giving people the chance to meet and discuss the day’s events and possibly plan your own TED talk, if you think you’re up for it! 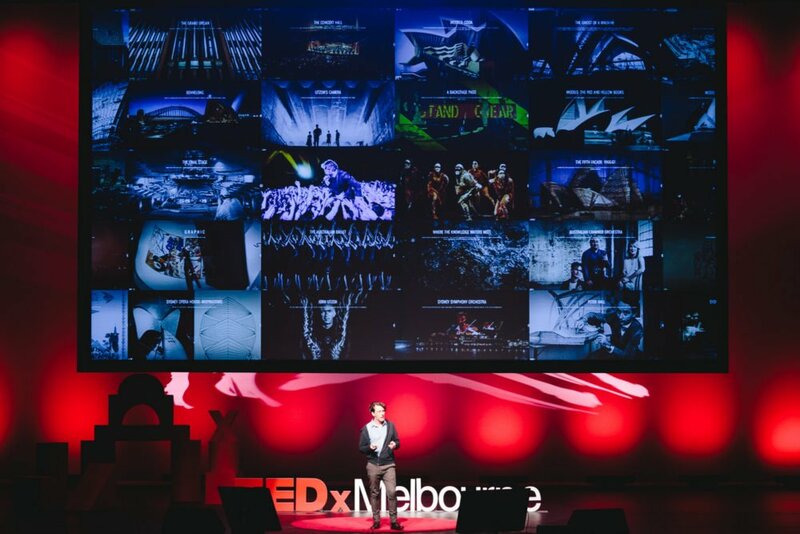 If you can’t get to an event, I’d recommend you take a browse through the huge library of videos over at TED.com or subscribe to the TEDxMelbourne YouTube channel that will eventually house the videos of the talks from the day. I’ll be updating this post with those videos once they’re available as well! 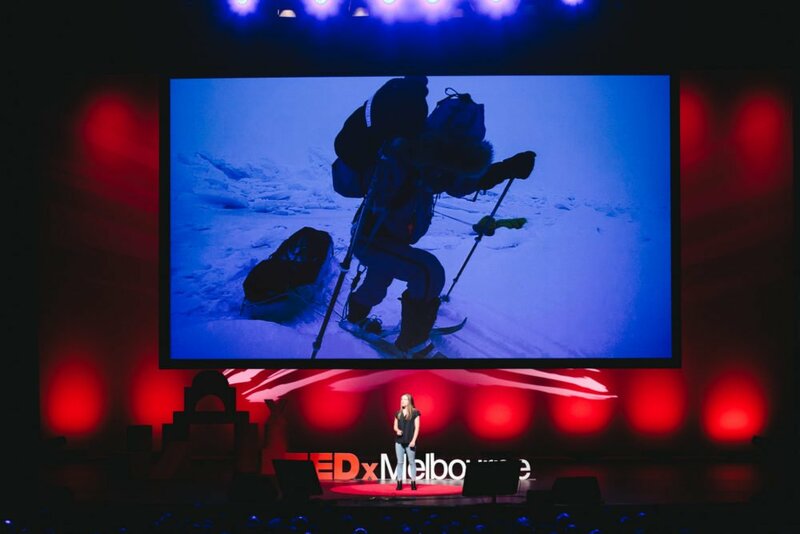 TED talks always leave me wondering why there’s so much struggle in the world, but relieved to see huge efforts constantly being made to change it. Ideas worth spreading, indeed.